Selfish. Entitled. Demanding. Addicted to technology. These are a few words and phrases commonly used to describe millennials. Those reluctant to accept millennials are frequently turned off by their perspective and their working styles but millennials now represent a generation with increasing importance in our homes, at our workplaces, and within our industries. A closer look into the makeup of the millennial generation reveals some surprising findings. Their values and goals are strongly aligned with the best practices of the workers’ compensation system – advocacy, service oriented, and solutions driven. Not only can millennials become a dependable part of the system, but they can also be a tremendous asset to an industry that has not traditionally been viewed as the most cutting edge or attractive. The term “millennials” has come to loosely define people born between 1981 and 1996. They comprise 25 percent of the U.S. population and are expected to surpass the number of baby boomers this year. More than one in three members of the American labor force are millennials, making them the largest generation of workers. For years, there’s been talk about their potential impact on the workforce, and now it’s clear that the millennial generation has arrived. Advocating and caring for millennial injured workers will become the norm. Are we prepared to service a population that has grown up with smartphones, chat boxes, and that digests the majority of their information via social media? Millennials are more interested in industries such as technology, healthcare, insurance, and finance than in retail, government, non-profits, media, and entertainment. They have a thirst for knowledge, innovation, and technology. They are not afraid to challenge the status quo or buck a trend. Workwise, millennials seek a strong career path with opportunities to develop and grow quickly. They want a balance between their working and personal lives, along with flexibility. They place a high value on consistent feedback — not because they are looking for praise, but because they honestly want to know how they are doing. They enjoy being challenged. They want to work in organizations that emphasize corporate responsibility. Transparency and openness are keys in their decisions to join and remain at a particular company. Unfortunately, many highly trained and experienced workers’ compensation professionals will exit the industry soon – these individuals (that include injured worker attorneys, adjusters, vendor partners, and claims executives) have contributed tirelessly to building the system that we all benefit from today. A study by Deloitte shows that of the 2.3 million workers in the insurance industry, 1 million are expected to retire in the next 10 years. Plus, 70 percent of claims adjusters are over the age of 40. That means a huge percentage of insurance industry jobs will be vacated in the next few decades. Somebody will need to fill them or figure out other ways to get these jobs done for the industry to continue to make progress. In addition to hiring members of this generation, the workers’ compensation industry must figure out ways to reach and relate to this influx of millennial employees as they unfortunately become injured. That means understanding and responding to the ways millennials think, act and, especially, communicate. For one thing, millennials have grown up with smart devices and access to technology at their fingertips. From mobile phones, to tablets, to computers, these workers are adept at using technology in ways that are still foreign to some workers’ compensation stakeholders. Companies that fail to adopt newer technologies, forms of communication and innovative servicing will not only find it tougher to attract or keep millennials but will find that the way they interact with and communicate with the injured worker is not aligned with that individual’s expectations. Embracing newer technologies can not only help attract and retain millennials, but it can also greatly help us do our jobs faster and more efficiently. For instance, using predictive analytics can be a tremendous benefit in helping organizations spot trends or flag claims with particular elements. Machine learning, artificial intelligence, and automation can be implemented to greatly enhance a company’s processes. Improvements in technology can also help enhance the overall way in which injured workers are serviced by providers, payers and attorneys. Organizations should emphasize hiring millennials with a strong technology and systems background. Transparency. Millennials place a high priority on openness and honesty and the most successful workers’ compensation programs and law firms also contain these elements. Collaboration. Millennials want to be part of a team. Millennials included in the core team feel they are a part of the process; that team mentality can help the injured party feel involved and have better outcomes as well. Passion. Millennials want to feel passion for their jobs and companies. An advocacy based claims model is dependent on the passion and commitment of those caring for the injured worker. Organizations are finding a whole-person approach is much more effective than the traditional way of working with injured parties and this speaks to the millennial mindset. Having a sense of purpose. Millennials want to feel their work truly matters to the company and that their industry matters to the world. This generation can be highly successful in the workers’ compensation community. At its core, workers’ compensation is about caring for people who are injured. What greater purpose could there be than to help someone who has had their life changed by being injured at work and to have a meaningful impact on his or her life? Millennials can bring a breath of fresh air to a working environment. That is not to diminish the contributions of other generations— quite the contrary. Experienced workers have the knowledge base and backgrounds that built the industry we all rely on and are a wealth of knowledge that continues to transform our industry – let’s just make sure we are all prepared to continue to build off of those accomplishments. We must be able to transition knowledge and opportunities from generation to generation. Pairing other generations with millennials is the best way to guarantee our industry will have a bright future and that our injured workers will be taken care of. 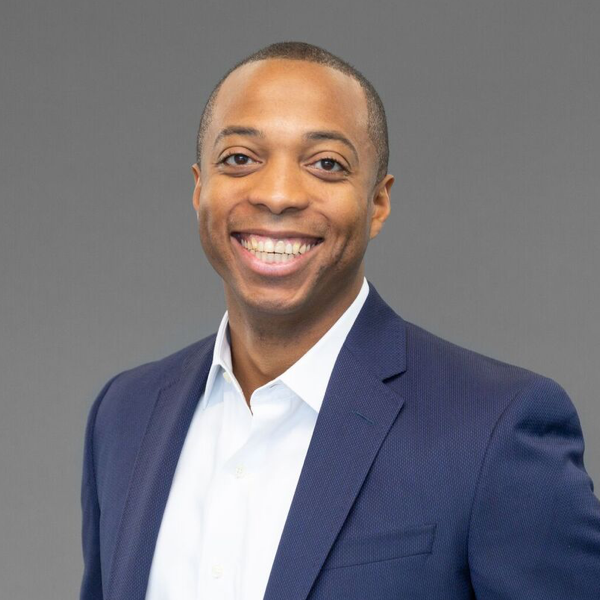 Marques Torbert became the Chief Executive Officer of Ametros in 2013 and is one of the few Millennial CEOs in the workers’ compensation industry. Under his direction, Ametros is making healthcare accessible, effective and affordable as it advocates for injured parties after they settle workers’ compensation or liability claims. Prior to Ametros, he worked on Wall Street as an investor, advisor and strategist in the insurance and business services sector. Previously, Marques he worked in private equity and investment banking. Marques holds a BA in Economics from Columbia University and an MBA from Harvard Business School. He is active in the Workers’ Injury Law Advocacy Group, the National Association of Medicare Set Aside Professionals, the American Bar Association, and the Workers’ Compensation Research Institute.